Discover everything Queensland has on offer, from the reef to the red soils of the outback, on an exciting Traveltrain journey. From world heritage listed rainforests, the Great Barrier Reef and tropical Whitsunday islands, Traveltrain’s fleet of trains allow you to be amazed by spectacular landscapes as they roll by your window. ? ?You can really appreciate Queensland’s vast and unique beauty from a train, and Traveltrain offers a range of options to suit every traveller, from first-class berths to budget-beating economy seats. Traveltrain’s premium Queenslander Class on The Sunlander rail journey, named one of the ‘World’s Top 25 Train journeys’ by the Society of International Railway Travellers, is sparking a renaissance in rail travel. The Sunlander was selected for its exceptional service and accommodation standards, providing travellers with a unique holiday experience. Comfort flexibility and a great social atmosphere have made this one of Australia’s prestigious rail journeys and a firm favourite with travellers between Brisbane and the tropical north. With two styles of travel, it caters for everyone, from the astute to the budget conscious, offering standard single, twin and triple berth sleeping accommodation and seats, all with access to tasty meals and refreshing drinks. First class berths accommodate two people with fold-down beds complete with crisp linen, a washbasin, wardrobe and much more. All passengers have access to club and buffet cars for meals and refreshments, and a range of facilities. For a premium rail experience why not travel in Queenslander Class. Not only do you experience some of Queensland’s most spectacular coastal scenery, Queenslander Class is an indulgent rail journey. Enjoy private sleeping accommodation, fine dining in an exclusive restaurant car, entertainment and commentary, and a host of special touches such as bathrobes and slippers. The dining experience is a highlight onboard Queenslander Class, with all passengers enjoying sumptuous three-course meals featuring the freshest local produce. The seafood platter served between Townsville and Cairns is undoubtedly the culinary highpoint of the journey. Travelling from Brisbane to Cairns against the moving backdrop of 1681km of spectacular Queensland coastal scenery creates the perfect atmosphere to relax in an environment conducive to making new friends both on and off the train. For those looking for a coastal experience to complement their Sunlander journey, guests can access internationally renowned destinations like the Whitsundays where 74 stunning islands sparkle like emeralds in the turquoise sea of the Whitsunday passage. Alternatively, the Great Barrier Reef provides the perfect playground to snorkel and get up close and personal with the local marine life. Queensland’s favourite coastal destinations are also easily accessible by the most modern and innovative Tilt Trains in Australia. The fastest narrow gauge trains in the world, the Tilt Trains can travel at speeds of up to 160km/h and provide an efficient, comfortable and world-class standard of travel. The air-conditioned Bundaberg and Rockhampton daily Tilt Train services offer both business and economy class travel, and have specially-designed facilities for passengers with disabilities. Passengers can relax in reclining seats with built-in footrests and enjoy an in-seat dining service (for business class passengers). Information video terminals display a camera which shows the driver’s view and provides details on speed, temperature and?distance to the next stop. Accessible by the Tilt Train, One of Queensland’s most untouched coast destinations, the World Heritage-Listed Fraser Island, is accessible by Tilt Train. This is the largest sand island in the world, stretching 123km over 184,000 hectares. Fraser Island is a precious part of Australia’s natural and cultural heritage, a place of exceptional beauty, with its long uninterrupted white beaches and ancient rainforests that grow in sand along the banks of fast-flowing, crystal-clear creeks. 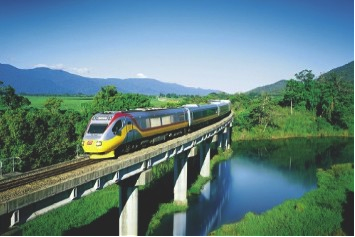 The Tilt Train to Cairns service offers efficient and convenient access to Queensland’s top holiday destinations and is perfectly suited for travelling between the Whitsundays and Cairns during its daylight running. Each Cairns Tilt Train passenger travels in business-style seating and passenger comfort is paramount. Seats are wide, reclining, and each features a personal entertainment system allowing travellers to choose from multiple movie and?audio channels. For travellers who prefer a rail journey that is a realistic, upfront view of Queensland’s Outback, enjoyed in the comfort of air conditioned authentically themed surrounds, the Spirit of the Outback is for you. On its journey west, it ventures through the historic towns of Blackwater, Emerald and Barcaldine before arriving in Longreach, home to the Australian Stockman’s Hall of Fame, Qantas Founders Museum and the Outback Heritage Centre. The journey transports you back in time, providing a unique insight into the history and culture of early Australia with farm stays, outback adventures, and the opportunity to meet a true blue Aussie. 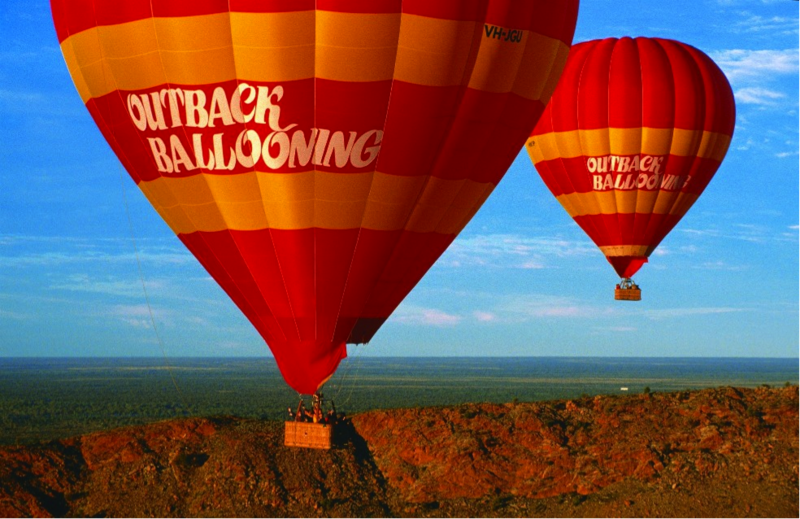 All this, plus the grandeur of the Outback’s great open spaces, vast plains and beautiful sunsets! Dining is an experience in itself, with the themed restaurant car serving hearty Aussie meals. The club and lounge cars are ideal for a quiet drink or chat with fellow passengers. Passengers are accommodated either in sleeping berths (for one, two or three people) or in economy class seats. The sleeping berths feature a range of amenities to ensure a comfortable journey, including bedding, wash basins, wardrobes and access to shower facilities. The Spirit of the Outback has been a favourite of Traveltrain’s Australian and international passengers for over 15 years – mostly thanks to the social atmosphere onboard and the spectacular views afforded throughout the journey. Traveltrain offers a free spirited rail pass for Australia’s east coast designed for the backpacker or the budget conscious. The East Coast Discovery Pass is a flexible rail pass available for international travellers providing unlimited travel in an economy seat on Australia’s east coast rail services over a six-month period. Using the pass, you can access all major tourist destinations along the east coast of Australia, including Bundaberg, Central Queensland, Mackay and the Whitsundays, Townsville and Cairns. 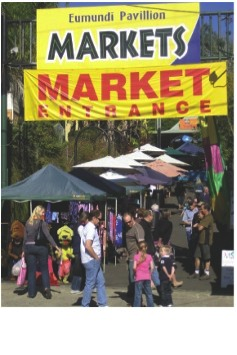 For a real “Aussie experience”, passengers can also stop at some of Queensland’s smaller and less touristy regional towns along the coastal rail route. It’s a must-have for the backpacker or budget-minded traveller looking to explore the very best of Queensland’s coastline.